It is very important to understand the difference between cash basis of accounting and accrual basis of accounting regardless of whether you are managing the accounts by yourself, or you have hired someone to do that job for you. 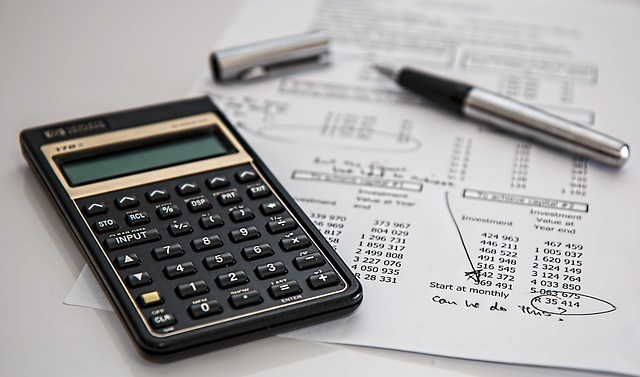 You will be in a better position to assess the profitability and cash position of your business if you know what cash and accrual accounting is, and what is the difference between the two. The major difference lies in the timings to record sales and purchases of a business. Let’s look at how cash based accounting is different from accrual based accounting. In cash accounting, revenue is recognized in a financial statement when cash is received against the sales, whereas, the expenses are recognized when they are actually paid. Therefore, no account receivable and account payable is involved in this method. Most of the businesses prefer to use cash basis of accounting, because it doesn’t require a lot of maintenance and is easy to use. Secondly, it is easier to know when the transaction occurred, and there is no need to trace the receivables or keep track of the payables. Moreover, cash basis of accounting is also useful in terms of computing the cash figure that a business actually owns at any particular period of time. Business owners can simply review their bank statements in order to find out the exact source of cash received. Also, the income is not chargeable to tax until the actual receipt or payment has been made, because no transactions are executed without cash. On the other hand, revenue and expense are recognized and recorded in a financial statement when they are made, without considering when the cash related to that transaction will be received or paid. This method of accounting is used by a large number of organizations in the corporate sector in order to be in harmony with the internationally recognized accounting standards. The benefit of using the accrual basis of accounting is that it provides a more realistic picture of income and expenses in a given period. However, the accrual base accounting doesn’t provide any information about the cash flow situation of a business. It is possible that a business with the very good profit figure has no cash in their bank accounts. Therefore, you must carefully evaluate the cash flow position of a company with accrual based accounting so as to avoid serious repercussions. One of the key differences between these two methods lies in concept of matching principle. Accrual accounting uses the matching principle, but cash base accounting does not follow this principle. According to this principle, a bookkeeper is required to record the revenue and all the expenses related to that revenue in the same period to make sure profits (revenue – expenses) are accurately reported in the correct financial period. This is the reason why end period adjustments are usually required to be made in revenues and expenses by adjusting the unearned revenue and prepaid expenses respectively. Cash flow – As per Cash accounting, the profit in the current period will be $1,850 ($2,000 – $150), but according to accrual based accounting, it will be $8,000 ($10,000 – $2000). It shows how profit and cash flow position can be affected by the accounting process used. Tax Implications – Suppose, the above transaction took place in November and December of 2014, and the next financial year will start from January 1, 2015. In an accrual base accounting, invoice of $10,000 made in December 2014 will be recorded as part of the income earned in 2014 and charged to tax accordingly, even if you receive the cash against this invoice in January 2015. By the end of the day, both of these methods only show you part of the business picture, and you can choose one of the two methods you prefer to use for your business. However, there are certain businesses that are required to use the accrual method in order to be in line with the guidelines of the international accounting framework. Hira Waqar. "Difference Between Cash and Accrual Accounting." DifferenceBetween.net. April 10, 2015 < http://www.differencebetween.net/business/accounting-business/difference-between-cash-and-accrual-accounting/ >.